If you are looking to dismiss a Colorado traffic ticket or to enjoy some savings on your auto insurance premiums, there isn’t a better way to go than the quick and convenient online defensive driving course Colorado we offer. Certificate Processed Fast, Delivered FREE! While you may have gotten your ticket because you didn’t slow down, there’s no reason to slow down making it go away. If you’ve received a traffic ticket and have been court ordered to complete a defensive driving course Colorado, our online option makes it quick and easy! Don’t endure the hassle of burning a Saturday in a classroom – with online defensive driving course we offer, feel free to decide when and where you complete the course. A classroom version of traffic school comes with a number of disadvantages. First, you have to find a class, then drive to the class, then sit through the class. You have much better things to do with the little time you have in your busy schedule. With 100% online Colorado traffic school, you have the freedom and flexibility to work at your own pace from whatever place you choose. You don’t even have to complete the course all at once, not even on the same day. Log in and out as often as you like, we’ll save your place. Finish a piece at home, another on your lunch break and then finish at a park or library or coffee shop or...you get the idea. The classroom and hours of operation are entirely up to you. You don’t have to turn your schedule upside down in order to complete Colorado traffic school. If you received your ticket somewhere other than these jurisdiction, contact your court to ask permission. Many other Colorado courts will accept a defensive driving course for ticket dismissal on a case by case basis. 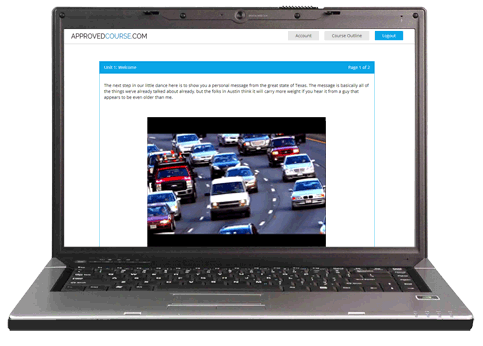 Driver education professionals and experts in learning theory worked together to create this course that maximizes knowledge retention by maximizing engagement and fun. The course includes animated 3D video clips, interactive graphics, and easy-to-understand subject matter to make learning easy and enjoyable. If you prefer listening to reading, choose our audio course option. At the end of each chapter, you'll take an easy 10-question multiple-choice quiz pulled right from the lesson material. The Colorado courts have set an 80% score as the standard to pass, but you will be given unlimited attempts to get the score you need. At the end of the course, you’ll take a 25-question, multiple-choice final exam with the same types of easy questions you will see in the quizzes. The same “try, try again” policy applies to the final, so you are as good as guaranteed to pass! 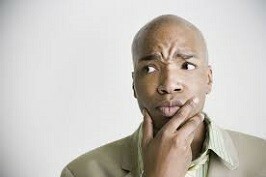 How About Some Car Insurance Savings? Did you realize you might be leaving money on the table with your insurance company by NOT taking a Colorado Traffic School course? Many insurance companies give discounts to their insured drivers who voluntarily take a Colorado driver improvement course. Ask your insurance agent today if you qualify. This course can not only make you a better driver but can save you money as well. We know that the court has given you a deadline for completing your course and we won’t keep you waiting to get your certificate. The moment you finish, your certificate will be processed and sent on its way. Finish by 3 PM CST, and we’ll hand it to the mailman that day. If you need it faster than the mailman can get it to you, you can always choose one of our affordable expedited shipping options via Federal Express. An unparalleled course deserves unparalleled support, and that’s exactly what you’ll receive when you choose us. No matter the question or concern, no matter the day or time, we’re always here to get you the information you need to get you back on your way. Give us a call or shoot us an email - we’ll be glad to help! What if My Court Isn't Listed? If you received a citation in one of the counties listed on the left, you're golden to dismiss a ticket. All of these courts have approved our course fully to do just that. But don't despair If you received a citation from a friendly officer in another jurisdiction. There's still a chance for you to get your ticket dismissed. Many other courts in Colorado will allow ticket dismissal via a traffic school course. Contact your court to inquire about their policy. Never hurts to try! If the court denies your request for ticket dismissal, taking the course may still be a good idea. Many insurance companies have premium discount programs for drivers who voluntarily take a traffic school course. Ask your agent for details. The savings from the discount will pay for the course many times over. Your savings may even be enough to cover your ticket as well!.